Need to Create Estimates? QuickBooks Can Help. Every year, it's a sure bet that there will be changes to current tax law and this year is no different, now that the tax provisions under the Tax Cuts and Jobs Act of 2017 (TCJA) are in full effect. From standard deductions to health savings accounts and tax rate schedules, here's a checklist of tax changes to help you plan the year ahead. In 2019, a number of tax provisions are affected by inflation adjustments, including Health Savings Accounts, retirement contribution limits, and the foreign earned income exclusion. The tax rate structure, which ranges from 10 to 37 percent, remains similar to 2018; however, the tax-bracket thresholds increase for each filing status. Standard deductions also rise. As a reminder, personal exemptions have been eliminated through tax year 2025. For taxable years beginning in 2019, the amount that can be used to reduce the net unearned income reported on the child's return that is subject to the "kiddie tax," is $1,100. The same $1,100 amount is used to determine whether a parent may elect to include a child's gross income in the parent's gross income and to calculate the "kiddie tax." For example, one of the requirements for the parental election is that a child's gross income for 2019 must be more than $1,100 but less than $11,000. For calendar year 2019, a qualifying HDHP must have a deductible of at least $1,350 for self-only coverage (same as 2018) or $2,700 for family coverage (same as 2018) and must limit annual out-of-pocket expenses of the beneficiary to $6,750 for self-only coverage and $13,500 for family coverage. Self-only coverage. For taxable years beginning in 2019, the term "high deductible health plan" means, for self-only coverage, a health plan that has an annual deductible that is not less than $2,350 and not more than $3,500, and under which the annual out-of-pocket expenses required to be paid (other than for premiums) for covered benefits do not exceed $4,650. Family coverage. For taxable years beginning in 2019, the term "high deductible health plan" means, for family coverage, a health plan that has an annual deductible that is not less than $4,650 and not more than $7,000, and under which the annual out-of-pocket expenses required to be paid (other than for premiums) for covered benefits do not exceed $8,550. n 2019, the deduction threshold for deductible medical expenses is 10 percent of adjusted gross income (AGI). In 2019 tax rates on capital gains and dividends remain the same as 2018 rates (0%, 15%, and a top rate of 20%); however threshold amounts have increased: the maximum zero percent rate amounts are $39,375 for individuals and $78,750 for married filing jointly. For an individual taxpayer whose income is at or above $434,550 ($488,850 married filing jointly), the rate for both capital gains and dividends is capped at 20 percent. All other taxpayers fall into the 15 percent rate amount (i.e., above $39,375 and below $434,550 for single filers). For tax year 2019, the maximum Earned Income Tax Credit (EITC) for low and moderate income workers and working families rises to $6,557, up from $6,431 in 2018. The credit varies by family size, filing status, and other factors, with the maximum credit going to joint filers with three or more qualifying children. The elective deferral (contribution) limit for employees who participate in 401(k), 403(b), most 457 plans, and the federal government's Thrift Savings Plan increases to $19,000. Contribution limits for SIMPLE plans increase to $13,000 (up from $12,500 in 2018). The maximum compensation used to determine contributions increases to $280,000 (up from $275,000 in 2018). For married couples filing jointly, in which the spouse who makes the IRA contribution is covered by an employer-sponsored retirement plan, the phase-out range increases to $103,000 to $123,000. For an IRA contributor who is not covered by an employer-sponsored retirement plan and is married to someone who is covered, the deduction is phased out if the couple's modified AGI is between $193,000 and $203,000. In 2019, the AGI limit for the Saver's Credit (also known as the Retirement Savings Contribution Credit) for low and moderate income workers is $64,000 for married couples filing jointly, up from $63,000 in 2018; $48,000 for heads of household, up from $47,250; and $32,000 for singles and married individuals filing separately, up from $31,500 in 2018. While this checklist outlines important tax changes for 2019, additional changes in tax law are likely to arise during the year ahead. Don't hesitate to call if you have any questions or want to get a head start on tax planning for the year ahead. Everyone wants to save money on their taxes, and older Americans are no exception. If you're age 50 or older, here are six tax tips that could help you do just that. 2. Credit for the Elderly or Disabled. If you and/or your spouse are either 65 years or older--or under age 65 years old and are permanently and totally disabled--you may be able to take the Credit for Elderly or Disabled. The credit is based on your age, filing status, and income. Your income on Form 1040 line 38 must be less than $17,500 ($20,000 if married filing jointly and only one spouse qualifies), $25,000 (married filing jointly and both qualify), or $12,500 (married filing separately and lived apart from your spouse for the entire year). 3. Retirement Account Limits Increase. Once you reach age 50, you are eligible to contribute (and defer paying tax on) up to $24,500 in 2018 ($25,000 in 2019). The amount includes the additional $6,000 "catch up" contribution for employees aged 50 and over who participate in 401(k), 403(b), most 457 plans, and the federal government's Thrift Savings Plan. 4. Early Withdrawal Penalty Eliminated. If you withdraw money from an IRA account before age 59 1/2 you generally must pay a 10 percent penalty (there are exceptions, please call the office for details); however, once you reach age 59 1/2, there is no longer a penalty for early withdrawal. Furthermore, if you leave or are terminated from your job at age 55 or older (age 50 for public safety employees), you may withdraw money from a 401(k) without penalty--but you still have to pay tax on the additional income. To complicate matters, money withdrawn from an IRA is not exempt from the penalty. 5. Social Security Benefits. Americans can sign up for social security benefits as early as age 62 or wait to receive full benefits at age 66 or 67 (depending on your full retirement age). For some older Americans however, social security benefits may be taxable. How much of your income is taxed depends on the amount of your benefits plus any other income you receive. Generally, the more income you have coming in, the more likely it is that a portion of your social security benefits will be taxed. Therefore, when preparing your return, it is advisable to be especially careful when calculating the taxable amount of your Social Security. 6. Higher Income Tax Filing Threshold. Taxpayers who are 65 and older are allowed an income of $1,600 more ($2,600 married filing jointly and both spouses are 65 or older) before they need to file an income tax return. In other words, older taxpayers age 65 and older with income of $13,600 ($26,600 married filing jointly) or less may not need to file a tax return. Don't hesitate to call the office if you have any questions about these and other tax deductions and credits available for older Americans. Q: What if I receive unemployment compensation? A:Unemployment compensation you receive under the unemployment compensation laws of the United States or of a state is considered taxable income and must be reported on your federal tax return. If you received unemployment compensation, you will receive Form 1099-G, Certain Government Payments (Info Copy Only), showing the amount you were paid and any federal income tax you elected to have withheld. You must also include benefits from regular union dues paid to you as an unemployed member of a union in your income. However, other rules apply if you contribute to a special union fund and your contributions are not deductible. If this applies to you, only include in income the amount you received from the fund that is more than your contributions. Q: Can I have federal income tax withheld? Yes, you can choose to have federal income tax withheld from your unemployment benefits by filling out Form W-4V, Voluntary Withholding Request. If you complete the form and give it to the paying office, they will withhold tax at 10 percent of your payments. If you choose not to have tax withheld, you may have to make estimated tax payments throughout the year and you may owe tax when you file your tax return in April. Q: What if I lost my job? A: The loss of a job may create new tax issues. Severance pay and unemployment compensation are taxable. Payments for any accumulated vacation or sick time are also taxable. You should ensure that enough taxes are withheld from these payments or make estimated tax payments to avoid a big bill at tax time. Public assistance and SNAP (formerly known as food stamps) are not taxable. Q: What if I searched for a job? A: Under tax reform, many miscellaneous deductions were eliminated. As such, for tax years 2018-2025, you are no longer able to deduct certain expenses such as travel, resume preparation, and outplacement agency fees incurred while looking for a new job. In prior years, job-seekers were able to deduct these expense-even if they did not get a new job. Moving costs for a new job at least 50 miles away from your home were also deductible; but again, under tax reform, and for tax years 2018-2025, job-related moving expenses are not deductible. Q: What if my employer went out of business or into bankruptcy? A: Your employer must provide you with a Form W-2 showing your wages and withholding by January 31. You should keep up-to-date records or pay stubs until you receive your Form W-2. If your employer or its representatives fail to provide you with a Form W-2, contact the IRS. They can help by providing you with a substitute Form W-2. If your employer liquidated your 401(k) plan, you have 60 days to roll it over into another qualified retirement plan or IRA. If you've experienced a job loss and have questions about how it affects your tax situation, help is just a phone call away. The 2019 tax season is quickly approaching and with it an increase in identity theft and W-2 scams. Small business identity theft is big business for identity thieves. Just like individuals, businesses may have their identities stolen, and their sensitive information used to open credit card accounts or used to file fraudulent tax returns for bogus tax refunds. The fraudulent filings apply to partnerships as well as estate and trust forms and the IRS has identified an increase in the number of fraudulent Forms 1120, 1120S, and 1041 as well as Schedules K-1. An unexpected receipt of a tax transcript or IRS notice that doesn't correspond to anything submitted by the filer. Both public and private sector employers are targets for these W-2 scams, which in recent years have become one of the more dangerous email scams for tax administration. These emails appear to be from an executive or organization leader to a payroll or human resources employee. It may start with a simple, "Hey, you in today?" and, by the end of the exchange, all of an organization's Forms W-2 for their employees may be in the hands of cybercriminalsÃ¢â‚¬â€putting workers at risk for tax-related identity theft. 1. Email dataloss@irs.gov to notify the IRS of a W-2 data loss and provide contact information. In the subject line, type "W2 Data Loss" so that the email can be routed properly. Do not attach any employee personally identifiable information data. 3. Businesses/payroll service providers should file a complaint with the FBI's Internet Crime Complaint Center (IC3.gov). Businesses/payroll service providers may be asked to file a report with their local law enforcement agency. 4. Notify employees so they may take steps to protect themselves from identity theft. The Federal Trade Commission's www.identitytheft.gov provides guidance on general steps employees should take. Don't hesitate to contact the office if you believe you were a victim of identity theft or any other tax scam. Effective January 1, 2018, exchanges of personal or intangible property such as machinery, equipment, vehicles, artwork, collectibles, patents, and other intellectual property generally do not qualify for nonrecognition of gain or loss as like-kind exchanges. However, certain exchanges of mutual ditch, reservoir or irrigation stock are still eligible. Like-kind exchange treatment now applies only to exchanges of real property that is held for use in a trade or business or investment. Real property, also called real estate, includes land and generally anything built on or attached to it. An exchange of real property held primarily for sale still does not qualify as a like-kind exchange. A transition rule in the new law allows like-kind treatment for some exchanges of personal or intangible property. If the taxpayer disposed of the personal or intangible property on or before December 31, 2017, or received replacement property on or before that date, the exchange may qualify for like-kind exchange treatment. Properties are of like-kind if they're of the same nature or character, even if they differ in grade or quality. Improved real property is generally of like-kind to unimproved real property. For example, an apartment building would generally be of like-kind to unimproved land. However, real property in the United States is not of like-kind to real property outside the U.S.
A like-kind exchange is reported on Form 8824, Like-Kind Exchanges, which taxpayers must file with their tax return for the year the taxpayer transfers property as part of a like-kind exchange. This form helps a taxpayer figure the amount of gain deferred as a result of the like-kind exchange, as well as the basis of the like-kind property received if cash or property that isn't of like kind is involved in the exchange. Form 8824 helps taxpayers compute the amount of gain you must report. For more information about this and other tax reform changes, please call. You don't need to be a car repair shop or an HVAC technician to present prospects and customers with estimates. In fact, there may be many times when an unexpected estimate--or bid, or proposal--will land you a job you didn't necessarily expect. Of course, the bottom line is the meat of your estimate, the price you're willing to accept for your work performed. It's your job to determine that. But let QuickBooks do what it does best: provide intuitive, efficient tools for creating and modifying estimates. Before you start creating estimates, you'll need to make sure they're turned on in QuickBooks. Open the Edit menu and select Preferences, then Jobs & Estimates | Company Preferences. If the Yes button below DO YOU CREATE ESTIMATES? is not filled in, click inside of it to turn on this feature. Also, the Warn about duplicate estimate numbers check box should be activated. There are actually three ways to open an estimate form. You can click the Estimates icon on the home page or open the Customers menu and select Create Estimates. You can also open the Customer Center (Customers | Customer Center) and click on the Transactions tab. Click the New Transactions button in the toolbar and choose Estimates. Figure 1: If you haven't explored QuickBooks' Customer Center, you should. You can do a lot of your sales work directly from there, like creating estimates. As you can see, you can create multiple types of sales forms from here. You can also see lists of existing and historical transactions. Before you create your first estimate, you should make sure that the form's header, footer, and columns contain the fields you want. Use one of the three methods we just outlined to open a blank form. Then, with the Formatting tab at the top of the window active, click Customize Data Layout in the toolbar that opens to launch the Additional Customization window. Take your time working with the options in this window. QuickBooks gives you an incredible amount of control over how your estimates will look, but don't get ahead of yourself. Start with the most important content: the text you want to have appear. By default, the software opens a template called Custom Estimate that contains commonly-used fields, like Cost, Description, and Markup. You can easily change these by checking and unchecking their corresponding boxes. 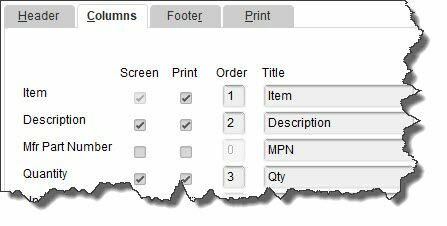 Figure 2: You'll check and uncheck boxes to indicate the fields you want to appear in the Header, Columns, and Footer of your estimates. You'll notice that you can have specific fields appear on the screen and/or on printed copies of your estimates. You can also change the field names (use Bid or Proposal instead of Estimate, for example), and for columns only, the order in which they appear. Warning: Be careful with the Markup field of your estimates. You wouldn't want your customers to see this, so be sure that it is NOT checked in the Print column. As you make changes to this template, you'll see the graphical Preview over to the right change to reflect your modifications. Click Print Preview to see a larger, finished version of your template. When you're satisfied with it, click OK. This will replace your Custom Estimate template. Figure 3: If you want to create a different look for the Custom Estimate template or build and save a new one, you can walk through this customization wizard. Customize Design. This opens a multi-step wizard that helps you select a background, font, and grid style. Download Templates. You can choose from multiple pre-designed templates. Basic Customization. This window supplies tools for adding a logo and changing colors and fonts. Layout Designer. This tool is only recommended if you already have freeform design skills. Creating an estimate in QuickBooks is just like filling out an invoice. You enter data where appropriate, and select options from drop-down lists. If you don't have any experience with sales forms and need some guidance, please call and set up a time to go over the entire process, as well as answer any other questions you might have about QuickBooks. Employees - who work for tips. If you received $20 or more in tips during December 2018, report them to your employer. You can use Form 4070, Employee's Report of Tips to Employer. Individuals - Make a payment of your estimated tax for 2018 if you did not pay your income tax for the year through withholding (or did not pay in enough tax that way). Use Form 1040-ES. This is the final installment date for 2018 estimated tax. However, you do not have to make this payment if you file your 2018 return (Form 1040) and pay any tax due by January 31, 2019. Farmers and Fisherman - Pay your estimated tax for 2018 using Form 1040-ES. You have until April 15 (April 17 if you live in Maine and Massachusetts) to file your 2018 income tax return (Form 1040). If you do not pay your estimated tax by January 15, you must file your 2018 return and pay any tax due by March 1, 2019, to avoid an estimated tax penalty. Employers - Federal unemployment tax. File Form 940 for 2018. If your undeposited tax is $500 or less, you can either pay it with your return or deposit it. If it is more than $500, you must deposit it. However, if you already deposited the tax for the year in full and on time, you have until February 11 to file the return. Farm Employers - File Form 943 to report social security and Medicare taxes and withheld income tax for 2018. Deposit or pay any undeposited tax under the accuracy of deposit rules. If your tax liability is less than $2,500, you can pay it in full with a timely filed return. If you deposited the tax for the year in full and on time, you have until February 11 to file the return. Certain Small Employers - File Form 944 to report Social Security and Medicare taxes and withheld income tax for 2018. Deposit or pay any undeposited tax under the accuracy of deposit rules. If your tax liability is $2,500 or more from 2018 but less than $2,500 for the fourth quarter, deposit any undeposited tax or pay it in full with a timely filed return. If you deposited the tax for the year timely, properly, and in full, you have until February 11 to file the return. Employers - Social Security, Medicare, and withheld income tax. File Form 941 for the fourth quarter of 2018. Deposit any undeposited tax. If your tax liability is less than $2,500, you can pay it in full with a timely filed return. If you deposited the tax for the quarter in full and on time, you have until February 11 to file the return. Employers - Nonpayroll taxes. File Form 945 to report income tax withheld for 2018 on all nonpayroll items, including backup withholding and withholding on pensions, annuities, IRAs, gambling winnings, and payments of Indian gaming profits to tribal members. Deposit any undeposited tax. If your tax liability is less than $2,500, you can pay it in full with a timely filed return. If you deposited the tax for the year in full and on time, you have until February 11 to file the return. Payers of Gambling Winnings - If you either paid reportable gambling winnings or withheld income tax from gambling winnings, give the winners their copies of Form W-2G. Employers - Give your employees their copies of Form W-2 for 2018. If an employee agreed to receive Form W-2 electronically, post it on a website accessible to the employee and notify the employee. Businesses - Give annual information statements to recipients of certain payments made during 2018. You can use the appropriate version of Form 1099 or other information return. Form 1099 can be issued electronically with the consent of the recipient. This due date only applies to certain types of payments. Individuals - who must make estimated tax payments. If you did not pay your last installment of estimated tax by January 15, you may choose (but are not required) to file your income tax return (Form 1040) for 2018 by January 31. Filing your return and paying any tax due by January 31, 2019, prevents any penalty for late payment of the last installment. If you cannot file and pay your tax by January 31, file and pay your tax by April 15, 2019 (April 17 if you live in Maine or Massachusetts).